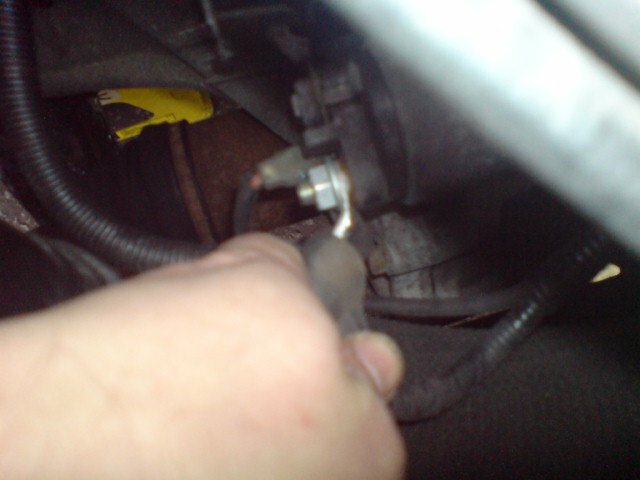 I guess you could do this if you have a dodgy starter motor, but I found it the best way to lock the flywheel in order to remove pulley bolt for changing cambelt or doing an HGF repair. This is the view from above. I removed the K+N for better access. Starter is below all this stuff. 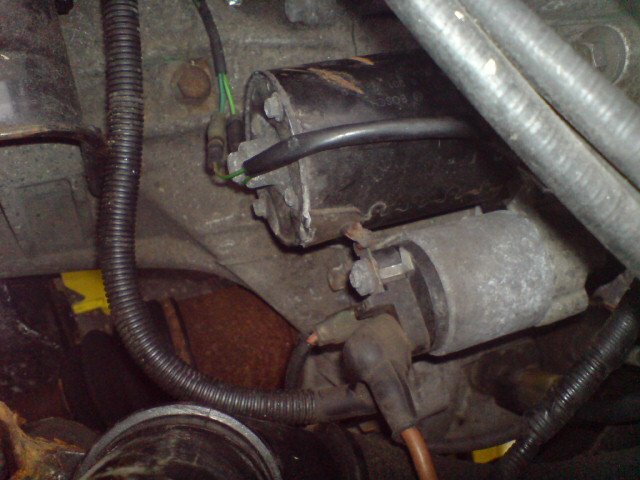 It is also easier to remove the Evap canister to the side. It just slips up, out of its bracket, and slips back in to replace. 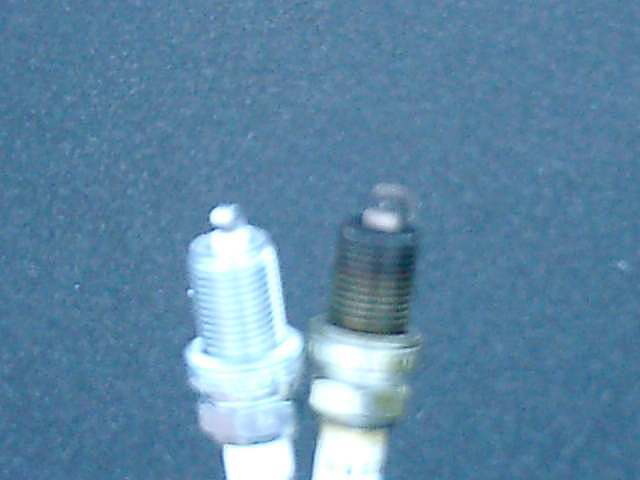 This is a close up of the starter motor (black one) and solenoid (silver). Note the rubber cover on the power leads (brown wire). 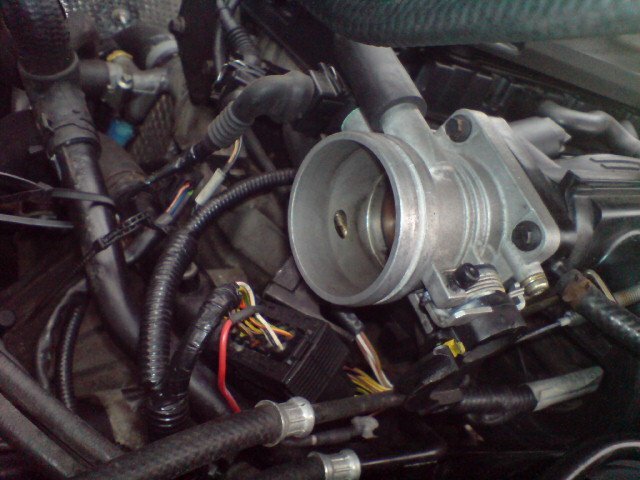 Also note the green/blue reverse light cables to the left of the starter. Take care not to get caught up when removing the motor (which is surprisingly heavy) Need to remove the black rubber cover to expose the connections. 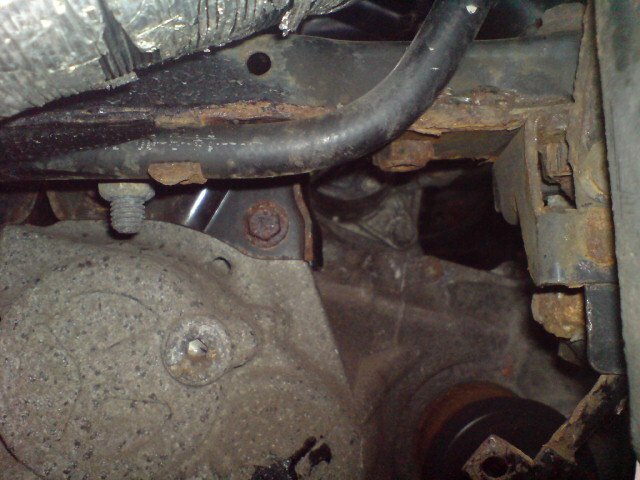 This is the bolt underneath the starter motor. 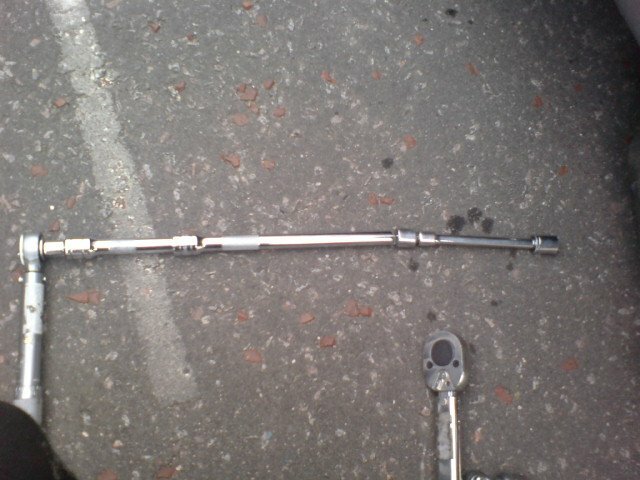 There is one above which is easier to see and remove Removing the lower bolt (from rear passenger wheel arch). 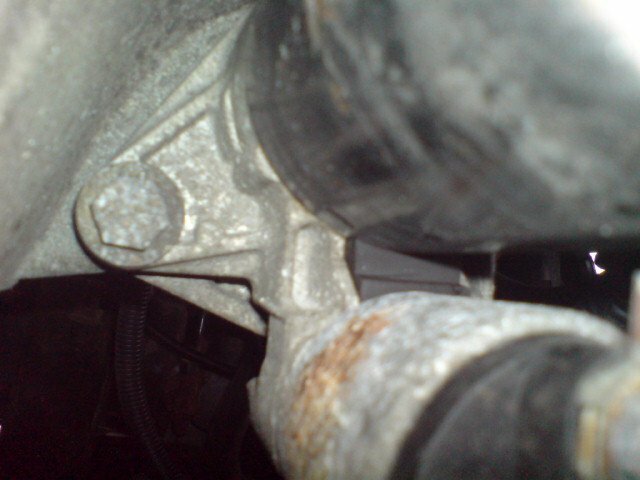 Easiest way is to remove the nearside splash guard (after removing wheel) You can see the nut in the background now, to the right of the rusty nut in the middle. The nuts at the rear might fall down on the ground. You MIGHT be able to get access from underneath. 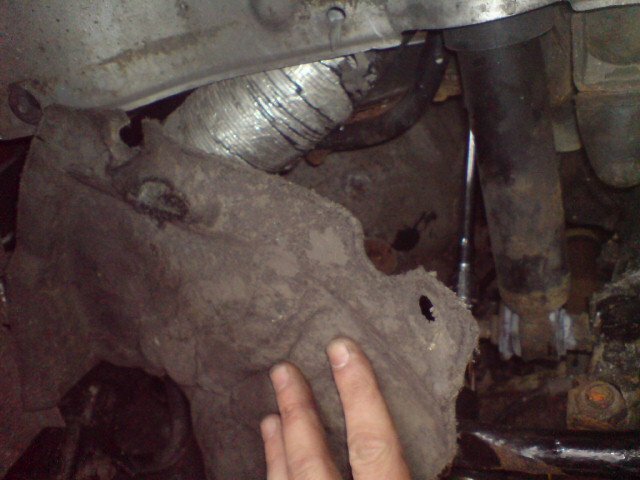 I could kind of but my downpipe seemed to prevent my wrist getting far enough in.